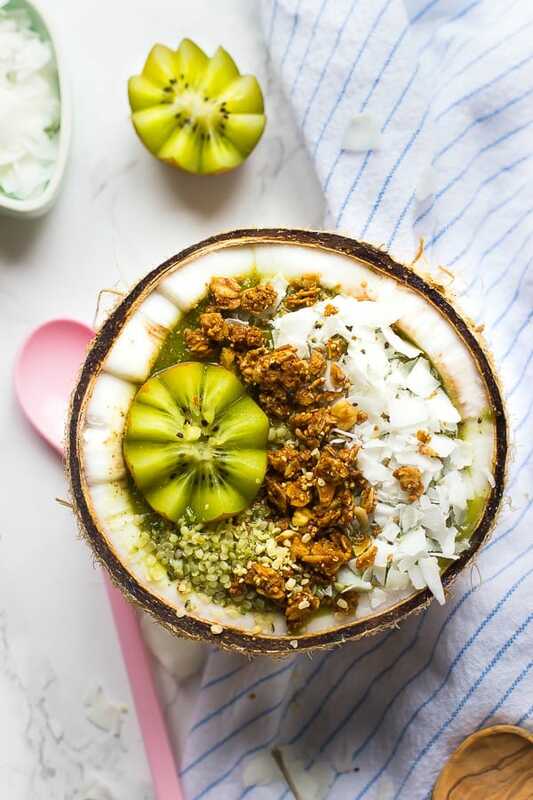 This Coconut Kiwi Green Smoothie Bowl is a healthy tropical smoothie bowl, perfect for quick mornings and takes only 10 minutes to make! By the time you read this, the Mr. and I will be on our way to Tulum, Mexico for our first anniversary (how has a year passed already??). Hopefully, we’ll be having smoothie bowls for breakfast and vegan tacos for every meal possible. There’s something very satisfying about starting the day with a smoothie bowl. I end up feeling like a complete superstar. Almost as I can actually complete everything on my to-do list and run a 5k marathon. Minus the 5k marathon part, of course. They’re bright, gorgeous, super tasty, and so easy. Best part about this one? Only 5 ingredients and 10 minutes. Hello, summer. Without a doubt, I’ve become that smoothie bowl girl. How could I not?! Food in bowls are always better. 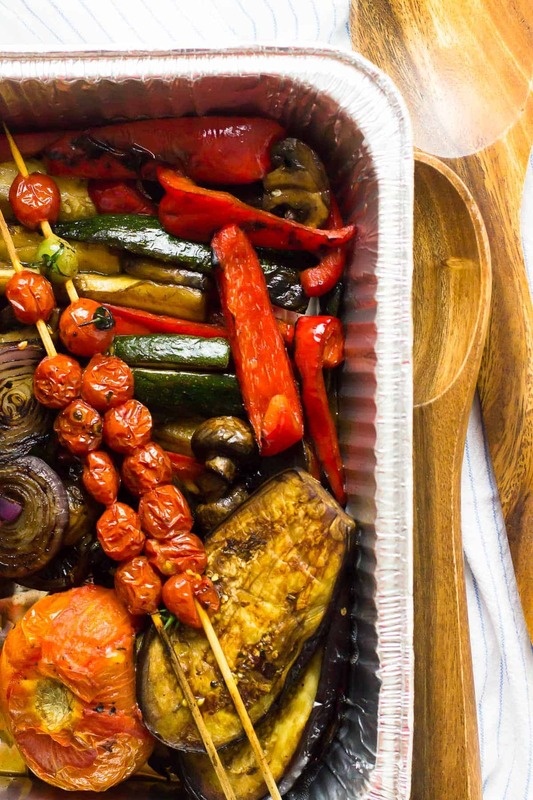 You get to put beautiful toppings on them, serve them in beautiful bowls or coconut shells, and play mini artist with designs. I used my favourite green smoothie recipe, increased the bananas and added some chia seeds to make it deliciously thick so that you can drink it with a spoon. I added kiwis, hemp seeds, granola and coconut flakes on top but you can add any range of toppings your heart desires. The smoothie is made up on pineapples, bananas, spinach, orange juice and chia seeds. The kiwi amps up the tropical-ness of it, and all the accompanying toppings that I chose do too. 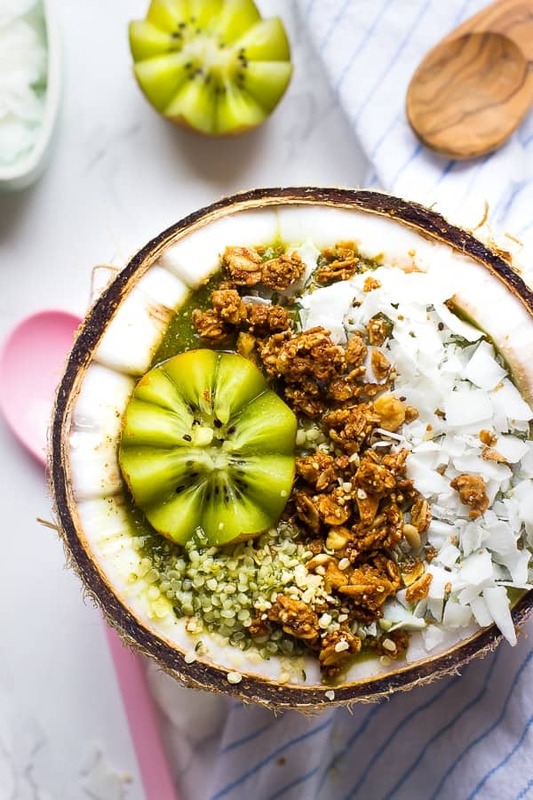 The coconut flakes are a delicious texture addition plus coconut is delicious, and the granola hemp seeds alongside the chia ness help ensure that you’ll stay full. 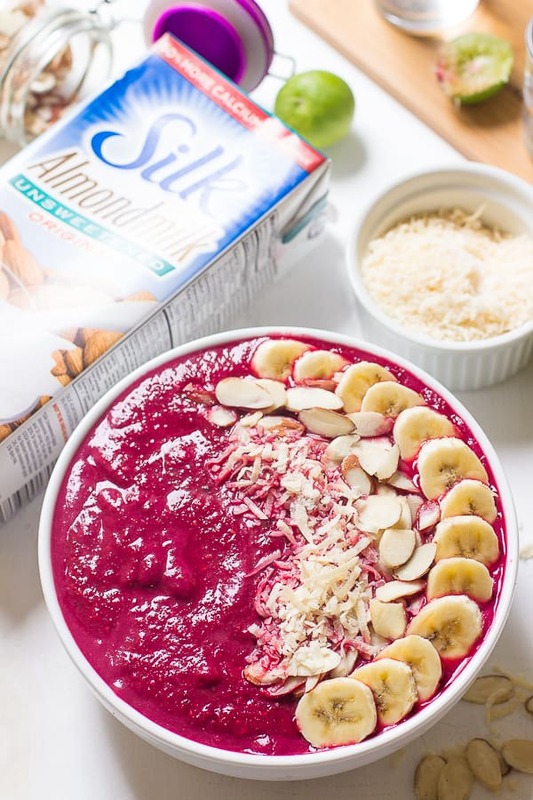 This smoothie bowl is also so so good for you. Loaded with tons of fiber, potassium, protein and nutrients you can be guaranteed that this smoothie is equally as delicious as it is healthy. 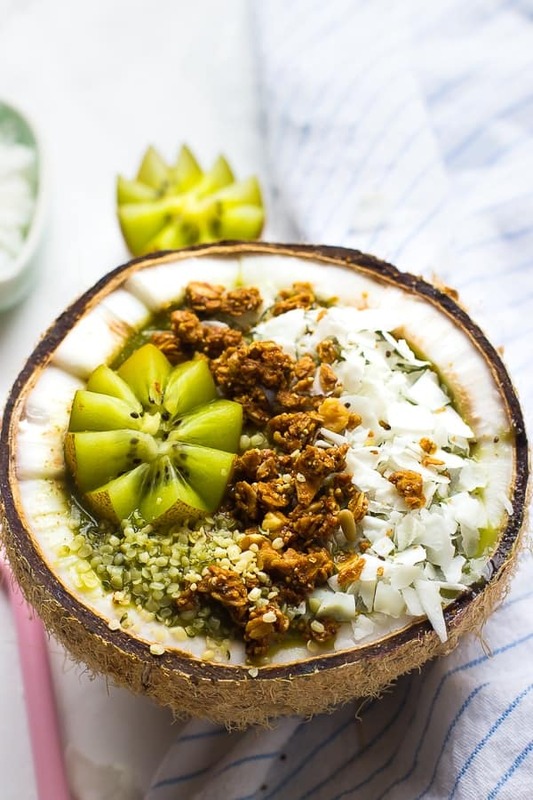 If you can, serve it up in a coconut bowl. It actually tastes SO much better with the delicious coconut flavour! 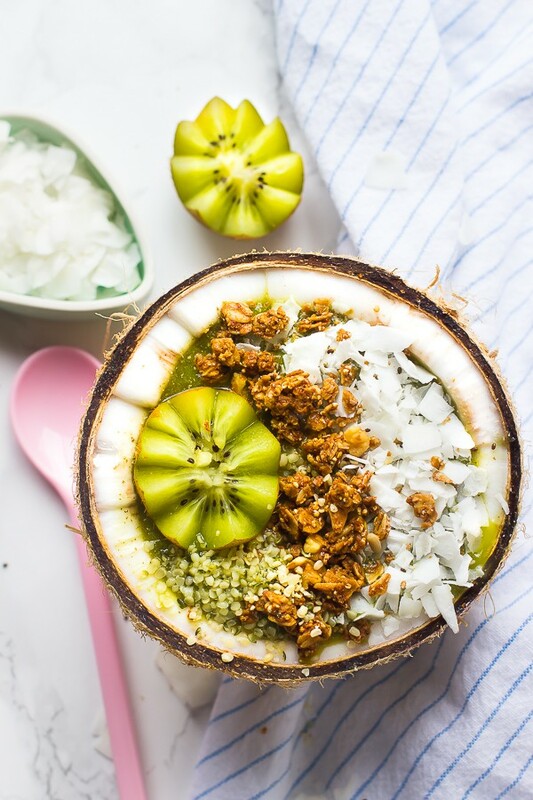 If you try this Coconut Kiwi Green Smoothie Bowl please let me know in the comments section below, or tag me on instagram with the hashtag #jessicainthekitchen! For more exclusive recipes follow me on Instagram AND on Snapchat: jessinkitchen.